A safe, close-by and time saving way to store dangerous chemicals and maintain good housekeeping. The cabinets exceed AS 1940 and are fire tested to comply with the FM rating. Dual vents with built in flash arresters, lockable doors and a leak-proof 150mm sump with containment troughs in the shelves all make this ideal for your workplace. 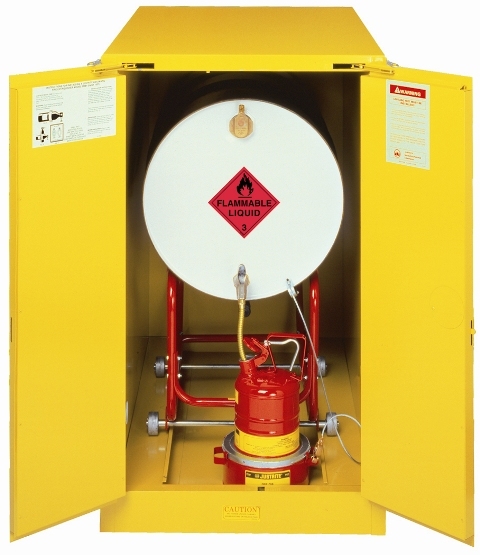 • Storage of flammable goods containers and drums. • The cabinets are not for use with corrosive liquids. Use instead Corrosive Storage Cabinets.